Center for Congregations, 2017. Accessed November 21, 2018. Your congregation is growing. Or it is in decline. Or you’re facing a major staff turnover. These are just a few of the motivations that can prompt a strategic planning process. This article from congregation experts helps readers understand the use of outside consultants to guide strategic planning. 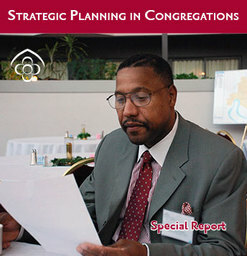 Its narrative is comprised of information and insights from six congregations who hired strategic planning consultants, and from planning consultants who utilize differing methodologies. Practical information abounds. For example, bullet points on “What Makes the Process Effective” advise hiring a consultant with congregational experience, assuring that leadership is solidly on board, and not planning in the midst of conflict. Another section discusses what consultants typically charge and what services to expect. The participants all agree that strategic planning is an essential part of effective congregational ministry. This article could serve as a conversation guide for leadership teams or other small groups.